One of the things I miss growing up in the Caribbean is the amount of fresh fruits that we can get on an almost daily basis. I grew up with fruit trees growing all around me and I might have even mentioned that my parents had quite a variety in our backyard. As soon as one fruit went out of season it was time for another so we're never without a fruit. Some of them I haven't been able to get while living in the US so whenever I get to travel to the Caribbean I eat as much as I can get. 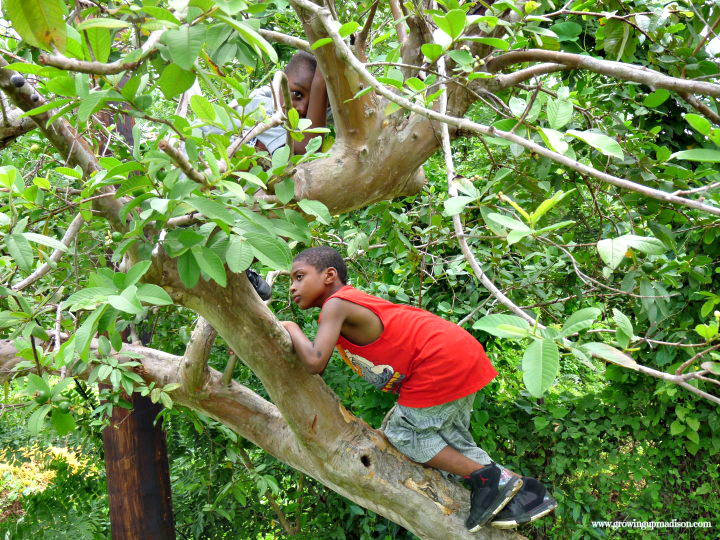 On one of our trips to the Caribbean the kids were able to climb a few trees including the guava tree. Just look at the photo below. 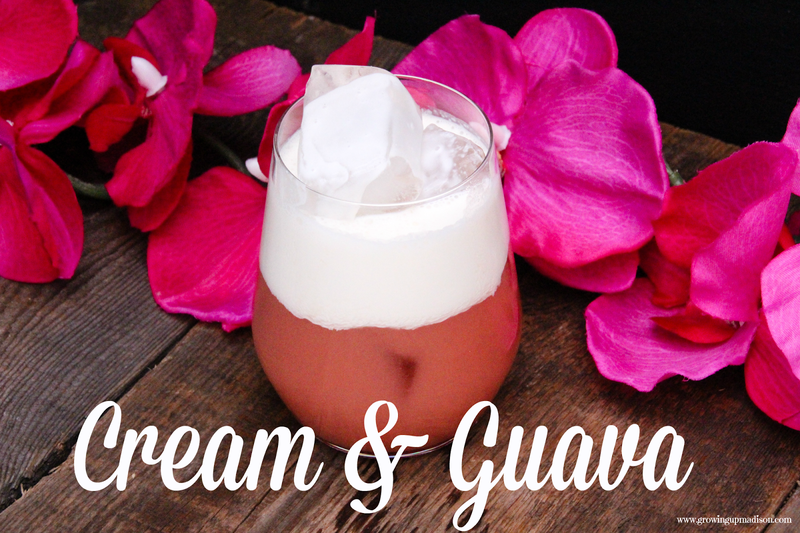 Today I am sharing a Cream and Guava drink that is absolutely delicious. 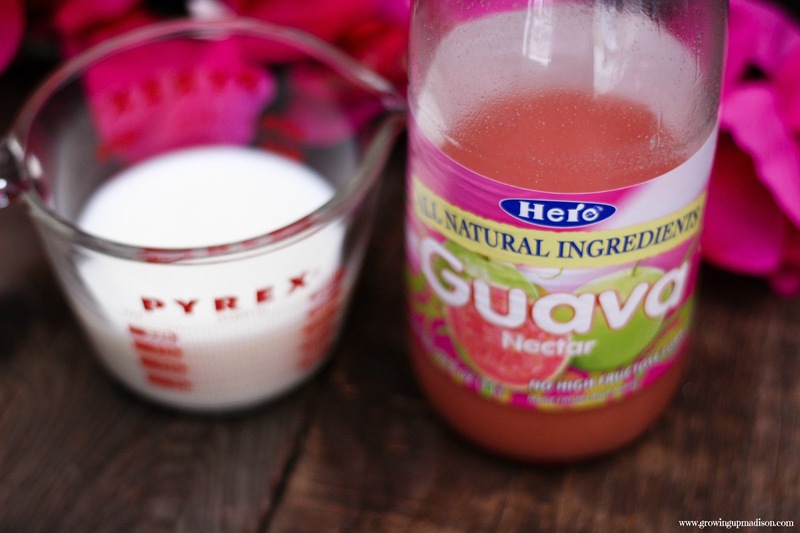 If you've never had guava before you'll love it. If you have had it then you know what I'm talking about. The guava fruit is about as small as a lime and is green when and hard when it first bears, it then turns a bright yellow when it is ripe. It is filled with tiny seeds and they are all edible. If you've never been to the Caribbean, Winter is a great time to visit, don't worry there are lots of fruits available then too along with seasonal Christmas drinks such as Ginger Beer and Sorrel Drink. Those two drinks are ALWAYS available during Christmas and it won't be a Christmas without them. Now back to our Cream and Guava drink. 1. in a measuring cup pour 2 ounces of heavy cream and add 1 tbsp of raw sugar, stir. 2. 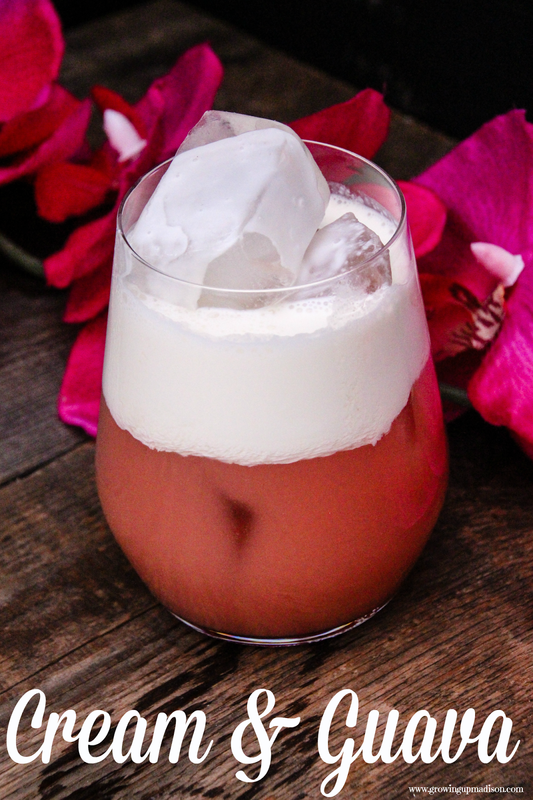 Fill a glass with ice cubes and add guava nectar. Pour in sweetened heavy cream. Optional: A drizzle of clove honey on top is another great option as well. I hope you're able to make it because I just know that you're going to love it! Yummy yummy! I don't think I've ever had guava before. If you've never had it then you should definitely give it a try. Oh I want to give this a try. I think that this is truly up my alley. I had guava on a trip to the Caribbean before and there's a guava juice I could buy at the supermarket that just tastes good. Zara guava is absolutely delicious and since you've tasted it before then I know that you know that. If you're able to make this, I say go for it!